Baotong e-logistics, a wholly-owned subsidiary of Baozun e-commerce, has been dedicated to provide integrated supply chain services to brands. 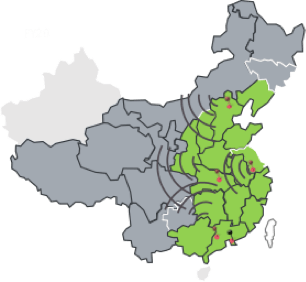 With more than a thousand employees, Baotong’s distribution centers are over 400,000 square meters, covering the greater China area, including Mainland China, Hong Kong, Macao and Taiwan. Baotong’s own supply chain management system provides outstanding stability and efficiency in large e-commerce promotional events such as the Double 11 holiday. The system has been widely applied to brands’ supply chain systems and is highly appraised. Baotong is dedicated to help brands improve its supply chain efficiency, increasing sales and profits, and optimizing cost structure while improving inventory levels. Baotong has 4 core competitiveness of “FFER”. With its outstanding facilities, supply chain IT system and expert team, Baotong can provide brands with a full-link, systematic and efficient integrated supply chain solution. It covers an area of nearly 50,000 square meters. With intelligent robots, transferring and sorting system, it can process over 300,000 B2C orders per day, which shows a new consumption experience brought by intelligent logistics. 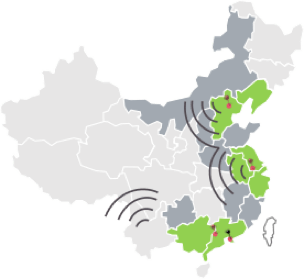 Not only does Baotong build strategic alliance with leading logistics companies, it also deploys multiple regional warehouses in the country to improve operation efficiency. Compared with traditional third-party logistics, other e-commerce operation services (TP) etc., Baotong places its strategical focus onto customer experience by investing in new technologies and maintaining a high level of responsiveness. Baotong’s WMS/TMS, as part of the supply chain system, incorporates leading edge technology and best industrial practices to offer brands a full functioning supply chain application, a central hub of interface integration and high level of flexibility and stability. By integrating warehouses and distribution, it helps brands to achieve visualized supply chain management. As one of the largest and most professional logistics enterprises among the e-commerce logistics, Baotong e-logistic has a stable and experienced team, which have a better understanding of key issues of brands and different industries. Baotong provides one-stop supply chain services for over a hundred world famous brands across eight categories. Robust and overwhelming 3-years volume growth plan. How to build up warehousing and logistics capacity. How to plan and develop last mile delivery capability. How to maintain and upgrade customer experience. Set up "Automated Logistics Centers”. Provide integrated services including assembly lines and express distribution planning. Provide national DC network design& solution. Readiness of supply chain capability during the 3-years of growth. Optimized inventory allocation and cost structure. Retail brand B is willing to embrace the latest T-mall O2O practice and integrate the existing online and offline channels. How to set up relevant system to support the business initiative. Use the full support of national warehousing and logistics network. Assist in the design of sharing solutions of e-commerce inventory and retail store inventory. Provide order management system and POS management system (Shopdog). Conduct Omni-channel order fulfillment for brand B. We helped the client to materialize the O2O concept, achieve its business goals and improve the customer experience.